Needless to say the pair hit it off, and on a trip to Dublin Zoo one weekend, Michael popped the question in a very romantic manner. "I had absolutely no idea of his plans," Aine explains. "He gave me a coin to throw into the small waterfall to make a wish and when I turned around he pulled out the most amazing ring, designed by himself, and got down on one knee. It was perfect. I cried!" 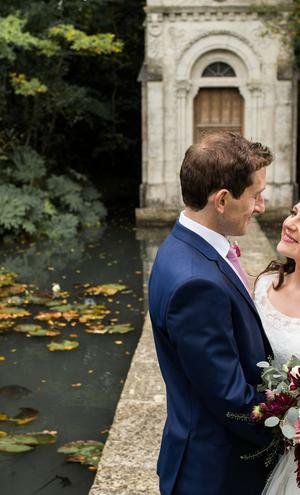 The couple went about planning a September wedding that would be 'as personal as possible'. The focus would be on family and friends and on their enjoyment of the day. 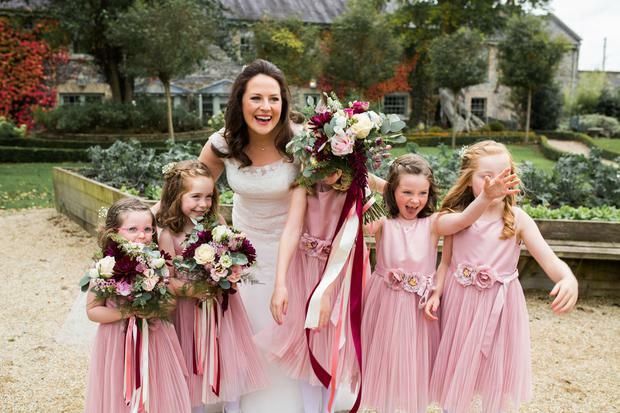 Aine's five adorable nieces were flower girls, and her brother sang 'My Girl' as she walked down the aisle. 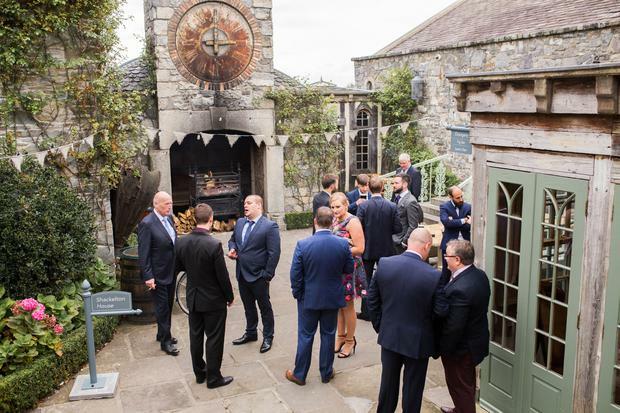 The couple's Spiritual ceremony, celebrated by Eileen Morris, was held in The Mill Room at the Cliff at Lyons in Kildare - Aine's friends sang 'You've got a friend in me' as part of it. "It was such a beautiful day. It couldn’t have been more perfect." Their photos are by Carol Sweeney Photography. The most important aspect of their day, says Aíne, was that family and friends felt part of the occasion and thoroughly enjoyed themselves. Aíne enjoyed planning the wedding but said that at times she found herself a little overwhelmed with ideas and additional elements. "The cost of everything is so high these days that I did feel a little stressed at times about getting things like ice-cream trucks, fireworks and extra entertainment," she explains, "but you don’t need any of it!" "I’m so glad we didn’t go overboard on spending or just in general." While she wanted everything to be picture-perfect, she had to hold back on more time-consuming aspects of the day to make sure she enjoyed the run up, without being completely caught up in the details. Her husband-to-be Michael was also on-hand to help her reign it in when things mounted up! 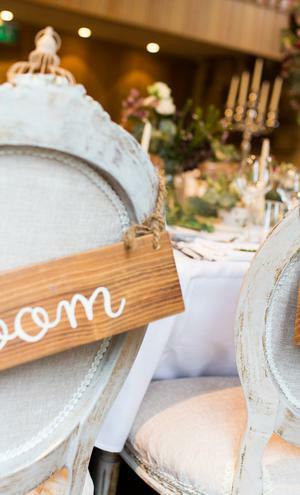 "There were a few ‘wobbles’ over décor, flowers and centrepieces during the planning stages. But looking back there was no need to worry about any of those things. Of course I wanted everything to be beautiful and picture perfect, and at times I felt the pressure of having an ‘Instagram perfect’ wedding day. I wanted to do everything myself as I love to be creative, but this was only going to cause stress and time restraints. Thankfully Michael was able to ground me when it all got a bit too much." As many brides discover on their quest for the perfect dress, Aíne didn't find wedding dress shopping as enjoyable as she'd hoped, and found out that sometimes knowing exactly what you want can be more of a hindrance than a help..
"I had a very strong image of exactly what I wanted in my head," she explains, "and I found it very hard to let go of when I realised that it wasn’t going to work." She eventually found a dress in Memories Bridal Boutique in Lucan that was similar to her vision of the 'dream dress'. 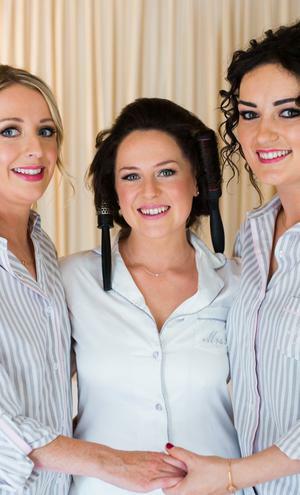 "It needed some alterations and Sew Creative in Donnybrook were amazing. Everything came together when I went to meet Nicole and Marina - they could see my vision. 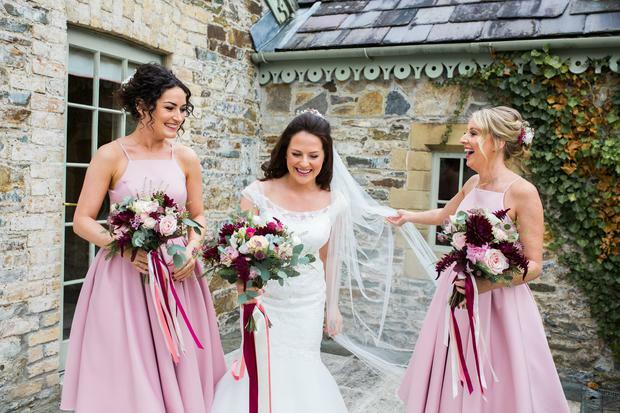 I loved my dress and it was even more special that there was no other quite like it." 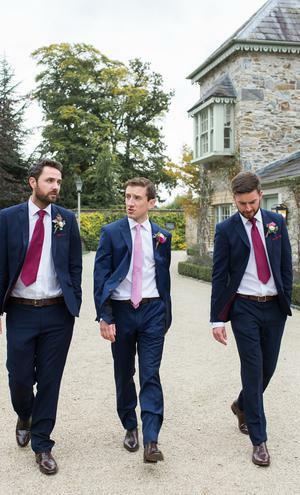 Michael and his groomsmen got their suits from Astons Formal in Temple Bar. 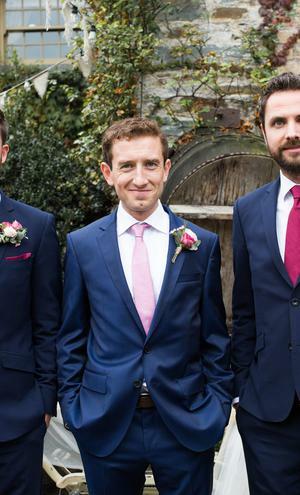 "I left Michael to his own devices," jokes Aíne, "he had a great time choosing suits with the lads. With fittings followed by sneaky pints they all really enjoyed it!" Aíne and Michael opted for a spiritual ceremony, celebrated by Eileen Morris of Spiritual Ceremonies. 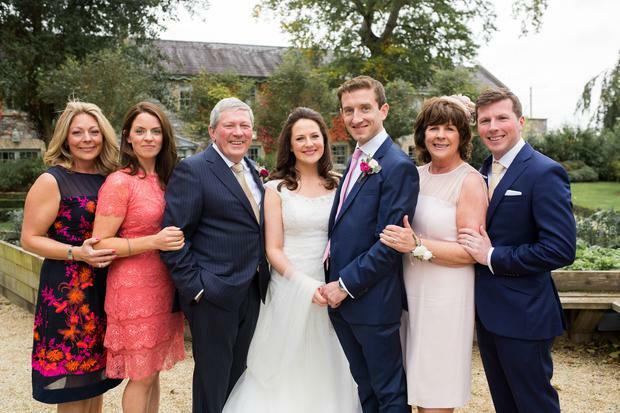 "Eileen was very friendly and welcoming," says the bride. 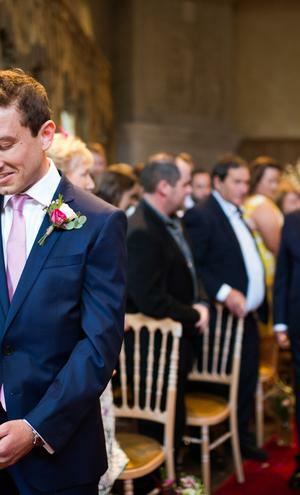 "We had a traditional hand fastening ceremony that family and friends were able to take part in. It was very personal. My brother sang ‘My Girl’ as I walked down the aisle and group of my girlfriends sang ‘You’ve got a friend in me’ during the ceremony." 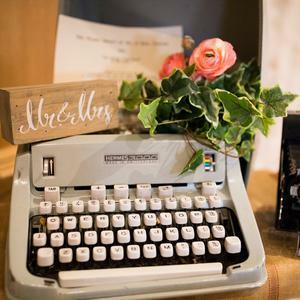 Aíne had a vision in mind for several aspects of the decor, and hired wedding planning and styling company VintageAffair.ie to bring it to life. "They were very good," she says, "they listened to what I had in mind and replicated that on the day. Our flowers were magnificent - I'm a little biased but they were by far my favourite wedding flowers I’ve seen. I was so overwhelmed when I saw them." The couple had always planned on having their invitations made, so Aíne's talented sister Jenni, a graphic designer, created a special custom drawing for them which featured their dog Harper. "They were the most beautiful, personal invites... we loved them! We hand made all the individual envelopes which was just so much fun. We used the same design template for our seating plan and menus." For the kids’ corner Aíne put together little bags with games and crayons, and a ‘wedding activity book’ which she had downloaded from Esty.com - "they went down a treat!" The couple settled on Cliff at Lyons straight away when the visited it - in fact, it was the only wedding venue they looked at. Michael had visited the venue years before and had talked about getting married there one day. 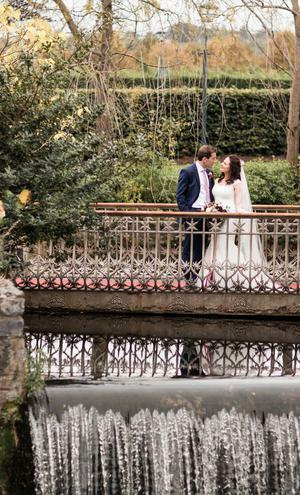 "When he brought me to see the venue and the grounds I was blown away," says Aíne. "It was the backdrop I had hoped for - old world and quirky! The rooms were also stunning and so individual. 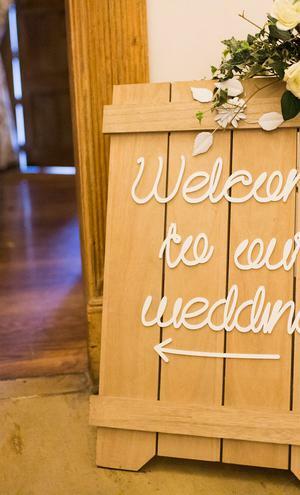 I couldn’t wait for our guests to stay." Another draw was the food: "The food in the Cliff at Lyons is beautiful. 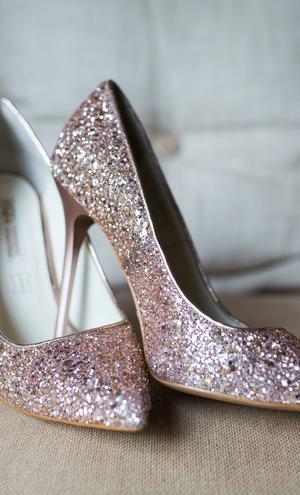 Every detail is perfection." For their own room, they opted for The Patrick Kavanagh suite instead of the honeymoon suite. "We much preferred it," says Aíne, "it’s a small cottage with all the character! It was so special. I can’t wait to go back." 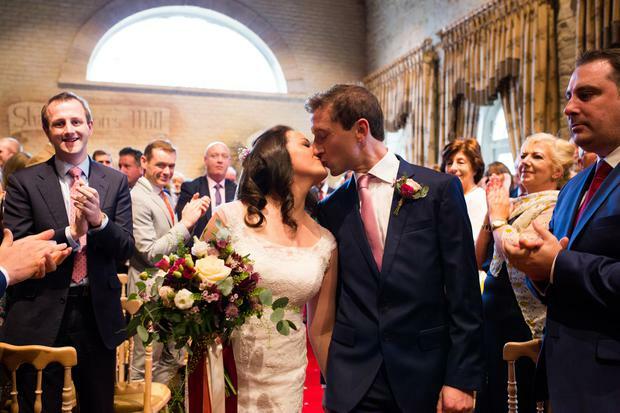 While it's difficult for the couple to choose any specific parts of the day, for Aine, one moment really stands out for Aíne - "I remember when I got to the top of the aisle to Michael, I saw his dimpled chin wobble! He never cries! I, on the other hand, cry all the time - happy tears! " 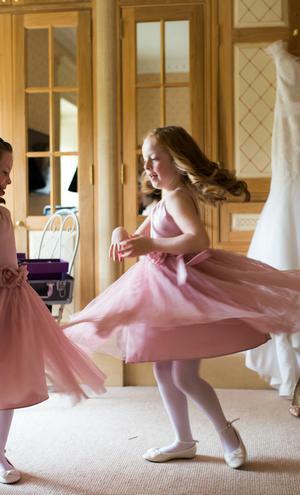 Seeing her dad that morning was another stand-out moment: "...all the emotion from the morning ... my Mom looking so glamorous, the flower girls twirling and dancing, all the laughs and all the tears... And of course my dad’s speech that had the whole room in tears!" 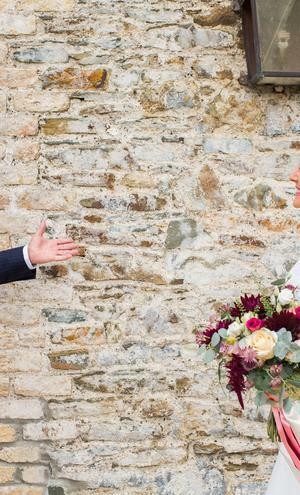 Aíne's main advice to those planning their big day is to 'keep it personal', but not get stressed about having a 'Pinterest perfect' wedding. 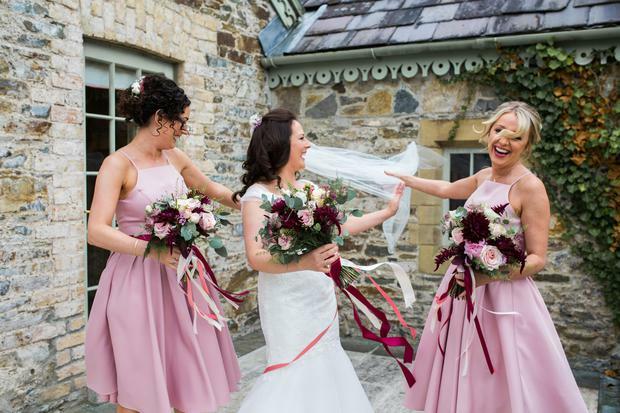 "I wouldn’t change the planning and organising that went into our day, but I would advise not to get stressed or pressured by all the extras. Know when to stop, and enjoy the day! Your friends and family are what make it. And don’t get stressed with Pinterest perfection and Instagram insanity... It’s not worth it!!" After the wedding the couple went to South Africa on honeymoon. They stayed in Cape Town, driving the garden route. "We also visited Stellenbosch, Franschhoek and Parle - where Michael’s Dad is from - It was out of this world!"